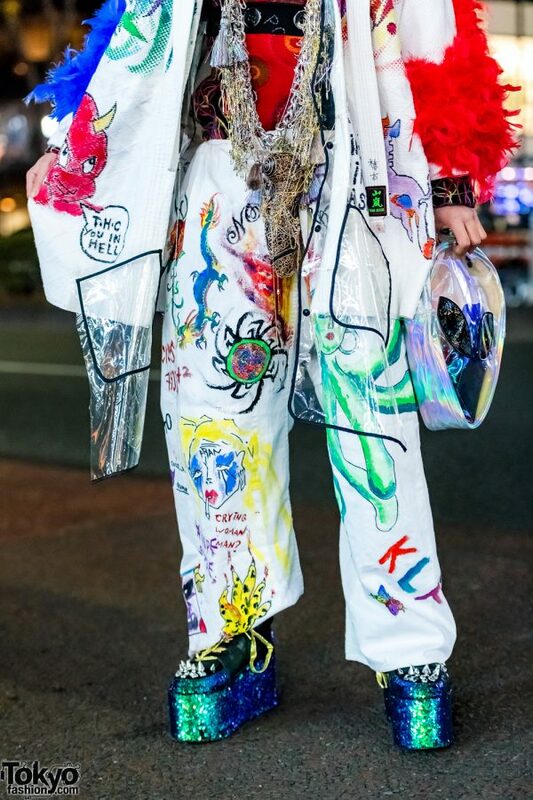 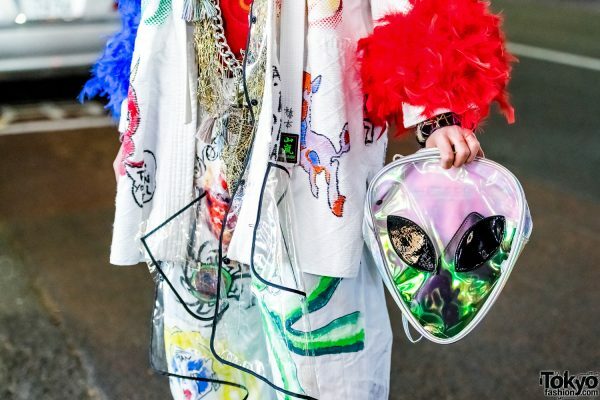 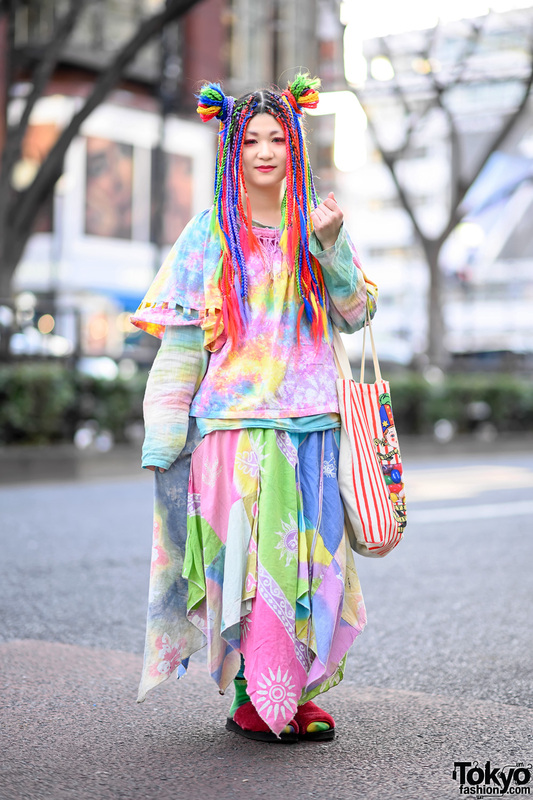 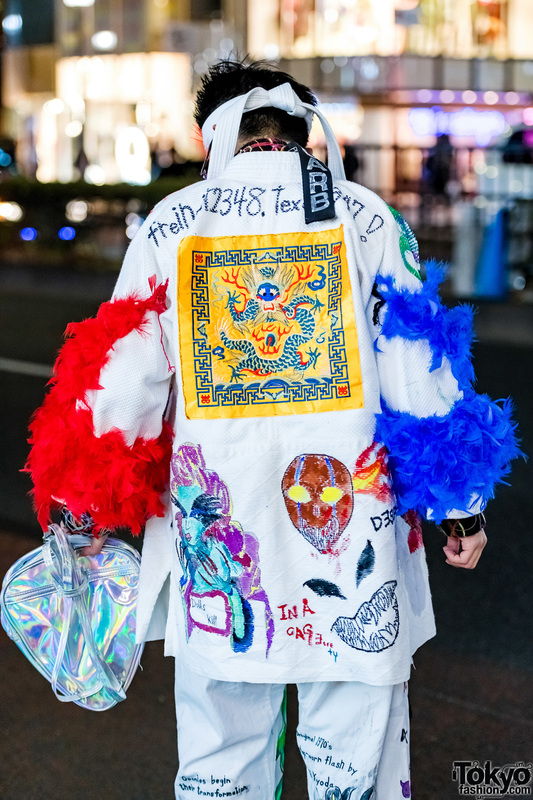 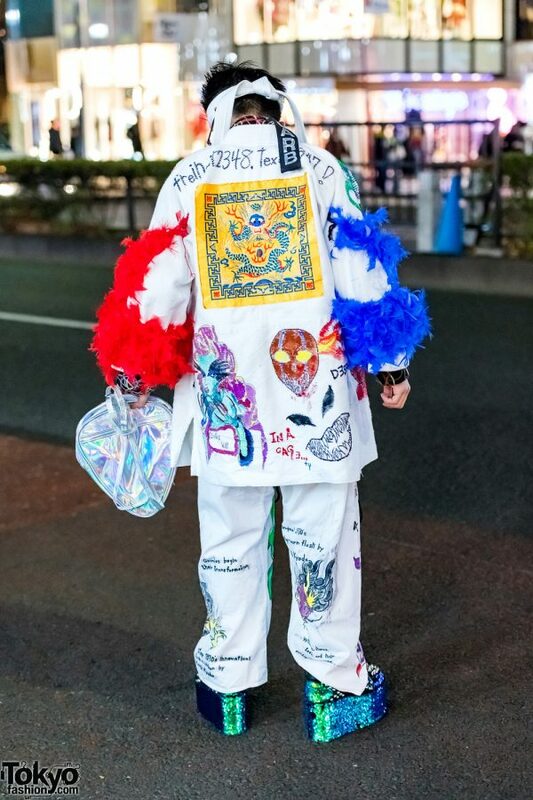 While out for a night trip on the streets of Harajuku, we came across Kanji, the 17-year-old student who is a popular street personality known for his creative and statement-making handmade streetwear ensembles. 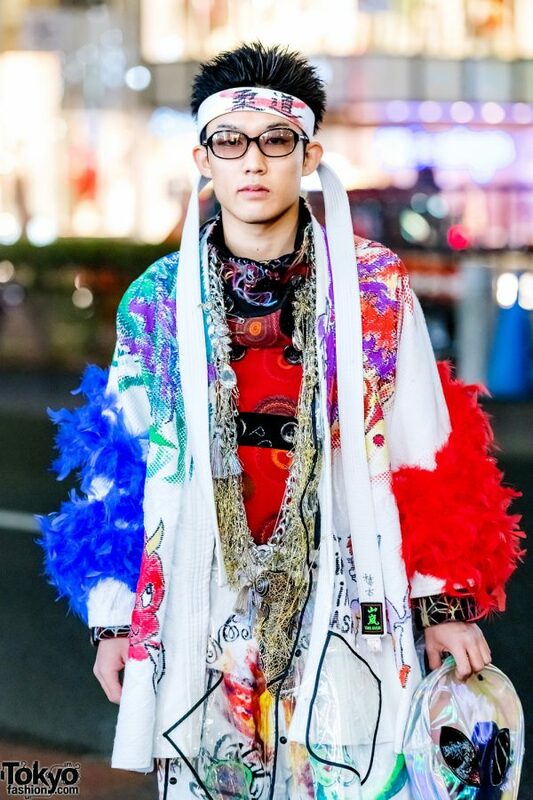 Tonight, Kanji is wearing a white remake jacket and matching pants, designed with multi-print and colors, with red and blue boa feather embellishments, and see-through panels with black piping. 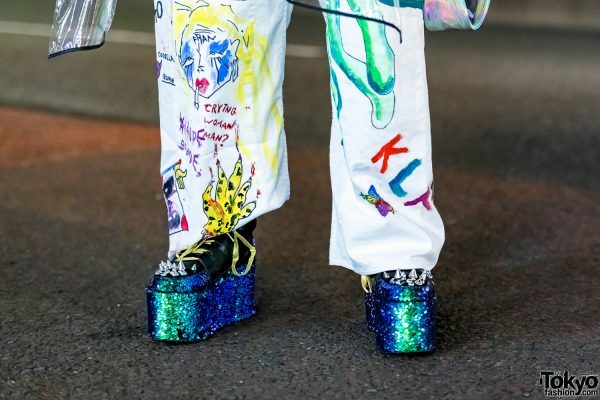 He styled them with a red vintage printed shirt, and platform YRU boots with sequins, gold laces, and spike studs. 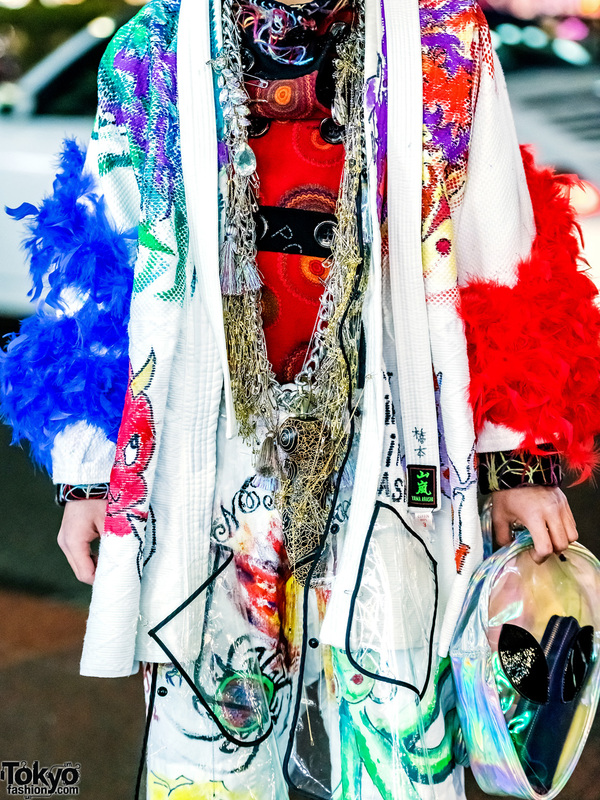 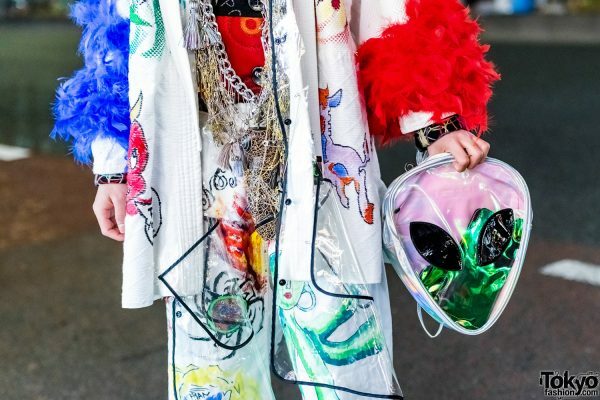 Accessories – some from Garb – include a white long belt worn as a headband, light-tinted glasses, and a statement necklace made up of chains, tassels, and safety pins. In addition, Kanji is holding an alien-shaped clear clutch from Romantic Standard. Kanji told us that his favorite fashion brands are Dolls Kill, YRU and Club Exx, while his musical favorites include Bump of Chicken and My First Story. 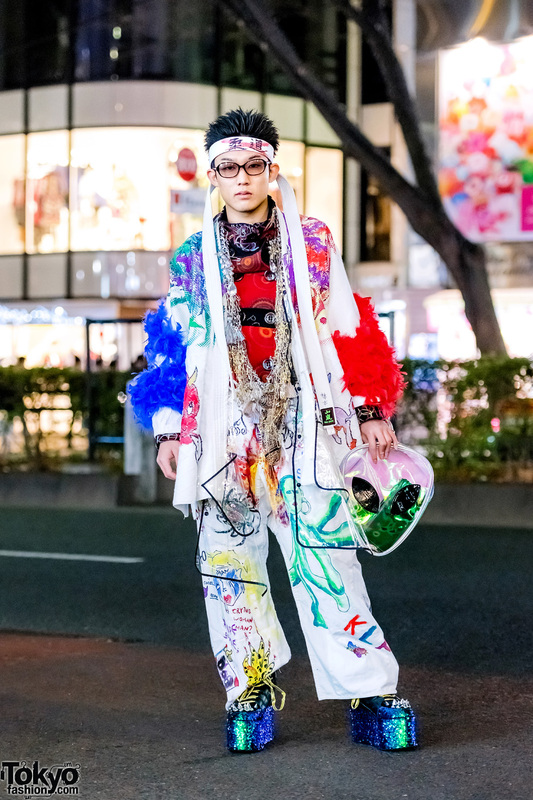 For his creative style feed, follow Kanji on Instagram.